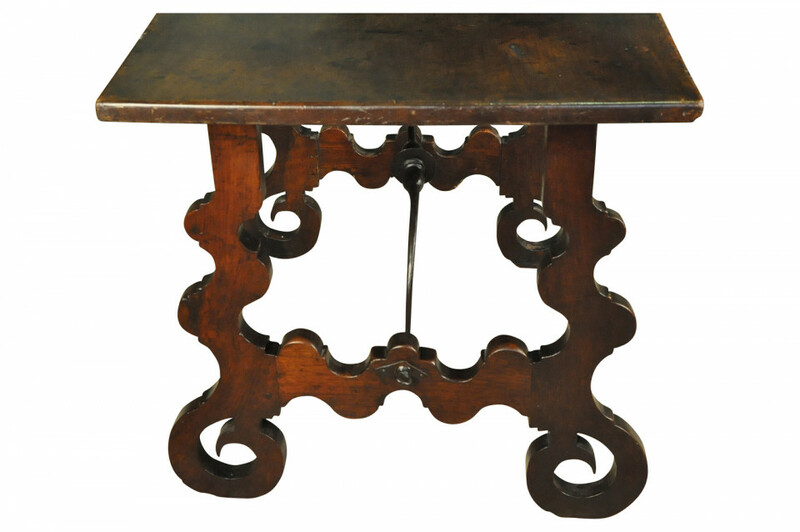 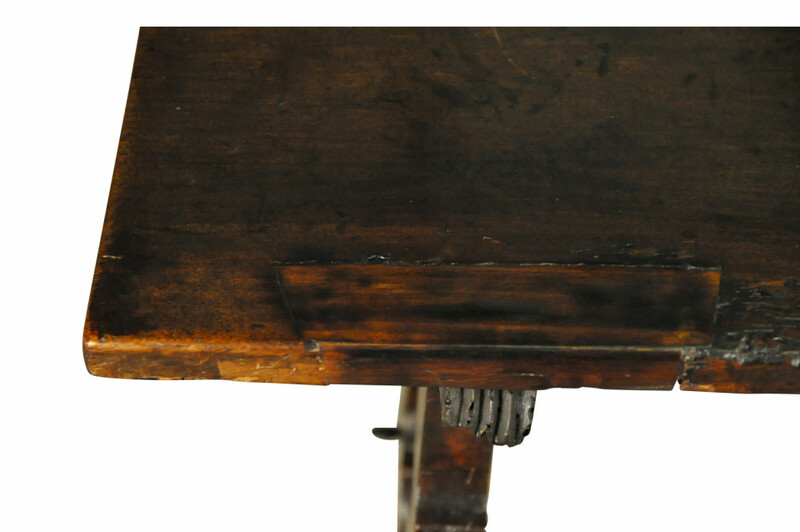 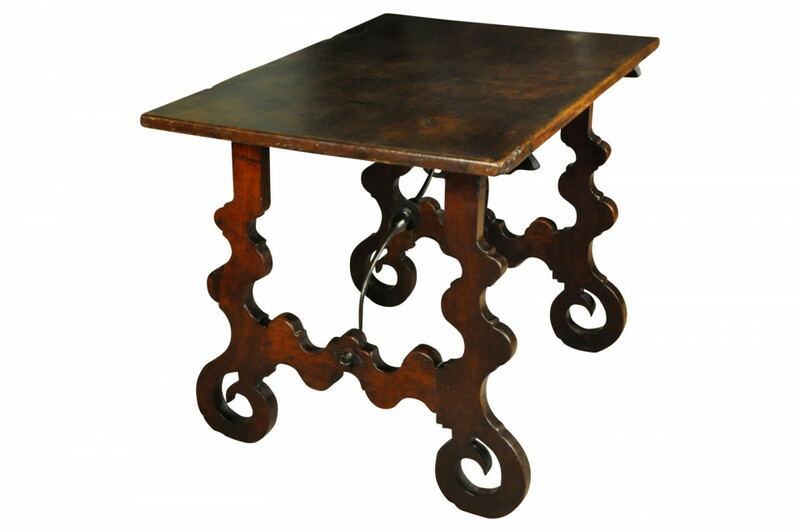 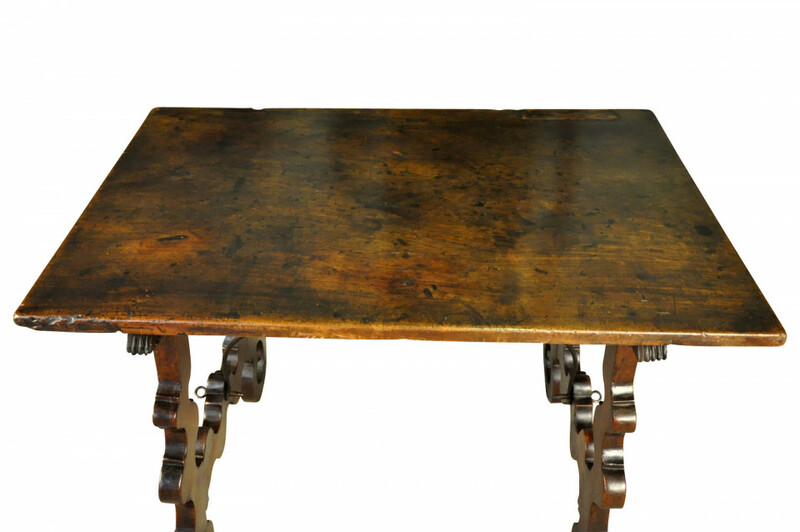 An outstanding 18th century side table from the Catalan region of Spain. 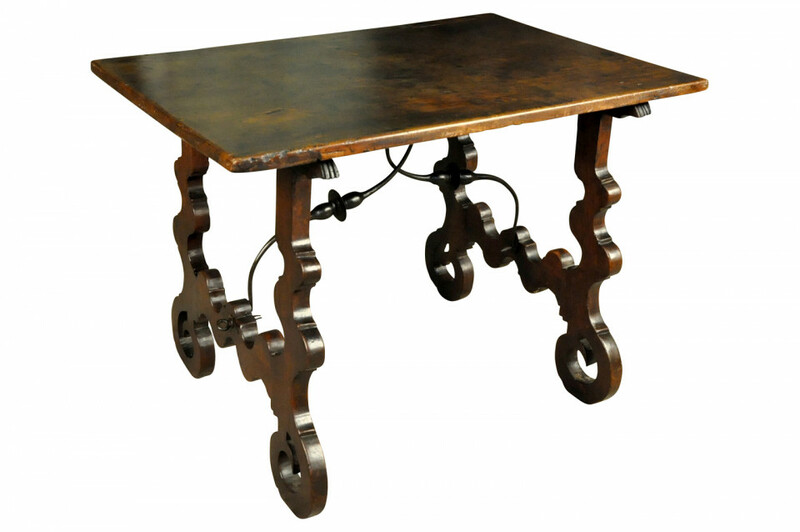 Beautifully and soundly constructed from stunning walnut, hand forged iron stretchers and classical lyre shaped legs. 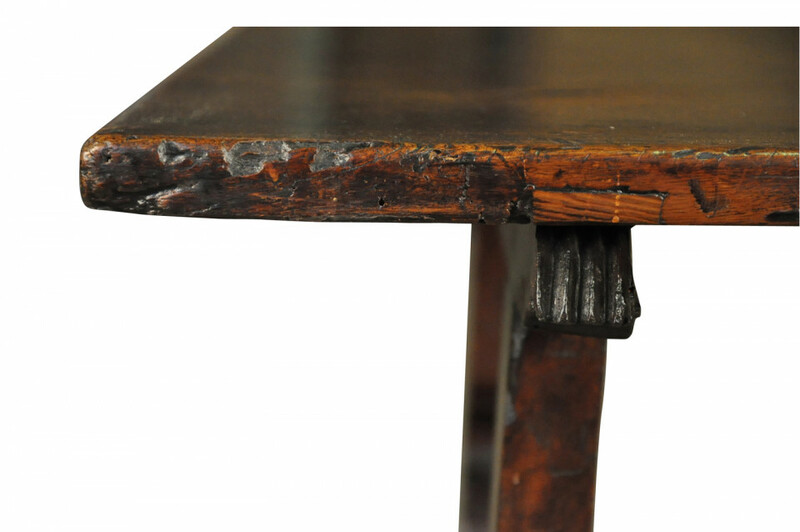 This table has a beautiful solid board top. 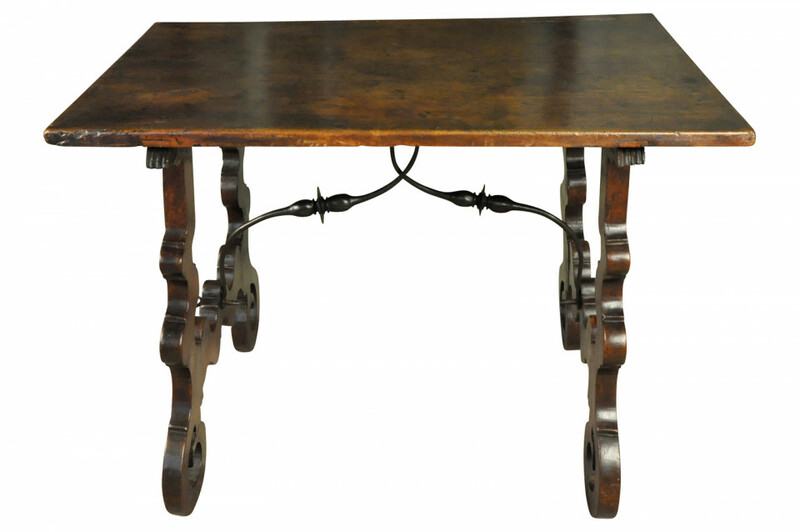 Sensational patina. 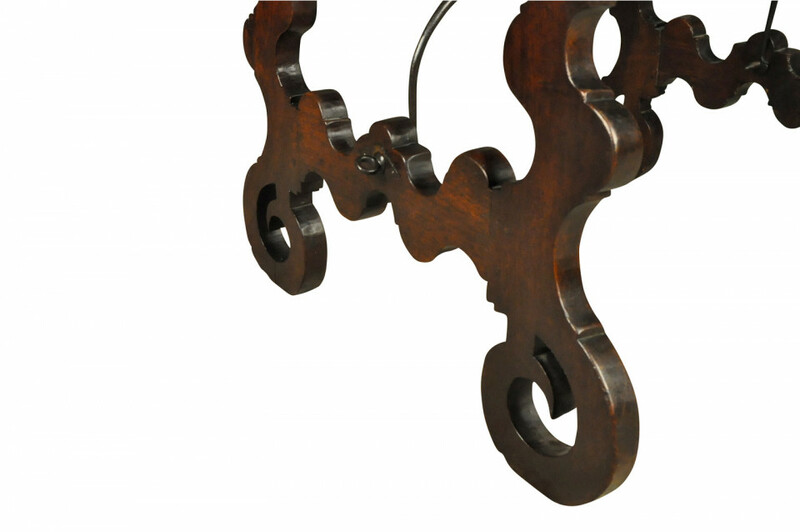 Height 28 3/8" Length 39 3/8" Depth 26 3/8"